Revived Soul Medical P.C. (New York) - Book Appointment Online! 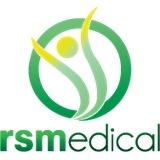 Revived Soul Medical Center has served the Brooklyn area since 2009. We specialize in treating those with severe depression, anxiety and other mental health disorders, as well as substance abuse disorders. The practice is ran under the guidance and direction of Medical Director Irina Kiblitsky MD, however the practice includes other doctors, qualified board certified nurse practitioners, and a physician assistant, which all work in harmony together. We offer SUBOXONE treatment for opioid addiction and dependence. We also offer Transcranial Magnetic Stimulation (TMS), which is a technological breakthrough in the treatment of Major Depression for people who are not getting better with medication treatment. Therapy treatments can also be scheduled with our licensed master social workers.